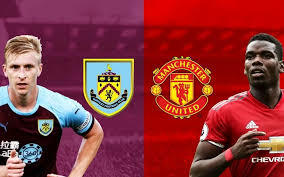 Manchester United has suffered back to back defeat by Brighton and Tottenham, their has been tension as whether they will continue dwindling in their performances but today Manchester United has proven that they are still the red devils by beating Burnley 2:0 at Burnley's home despite pogba missed penalty in the 69th minutes of the game and Marcus Rashford's red card that was issued in the 71st minutes which is ten minutes in the pitch after he substituted Alexis Sanchez in the 61st minutes. Rashford was booked for leaning into Phil Bardsley Burnley defender with his head. Romelu Lukaku has the two goals of Manchester United on his credit as he opened the scoring for the United's in the 27th minutes and sealed it in the 44th minutes of the first half. Maybe Manchester United would have scored a goal or more in the second half if Rashford was not booked as they have 54% ball possessions 21 shots and 9 shots on target while Burnley has 46% ball possessions 9 shots and 2 shots on target. This marks Burnley second home. defeat as they are currently on the 19th in the league table with just one point. Mourinho has been hoping for a good comeback by his team all this while and today he will not dare allow three successive loose as they beat Burnley 2:0, Mourinho's men will meet Watford on Saturday 15th September at Watford's home, Watford has played unbeaten in their past premier league matches as they continue by beating Tottenham who has also played unbeaten 2:1 today, can Manchester United continue their resurrected winning momentum by winning Watford? That question can never be answered until they meet on 15th September 2018 all we know is match is going to be tough.